The Danner Mountain Pass Boots, made with Horween’s Rio Latigo Leather. Bootmaker Charles Danner founded the Danner Boot Manufacturing Company in 1932, well into the depths of the Great Depression. When Danner discovered the booming logging trade in the Pacific Northwest in 1936, he moved his company to Portland, Oregon, where outdoorsman quickly began to appreciate the quality and durability of his boots, particularly their Shipyard Boot. The company continued to grow, and in the 1960s began to produce hiking boots that quickly became beloved in the outdoor community. 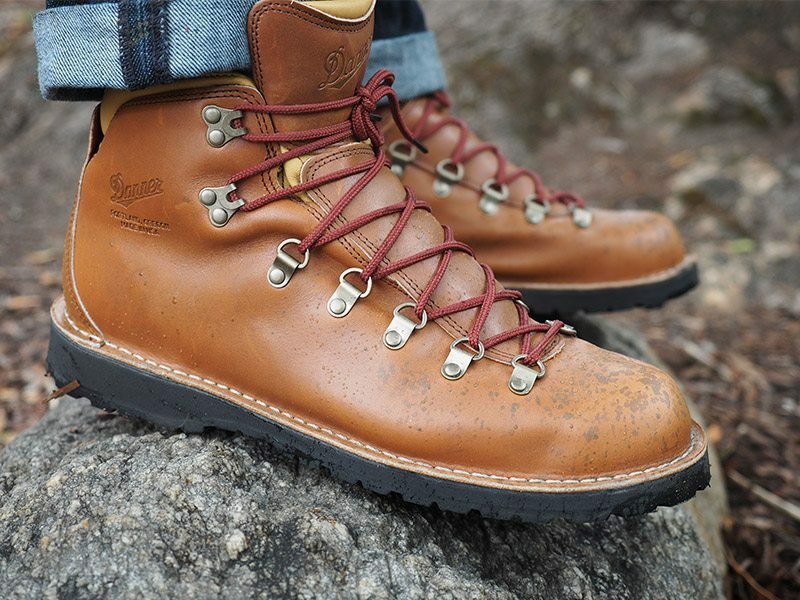 Danner is now a global brand, and continues to produce about a third of their footwear line in Portland, Oregon. The product line now includes outdoor, work, and casual footwear for men and women. 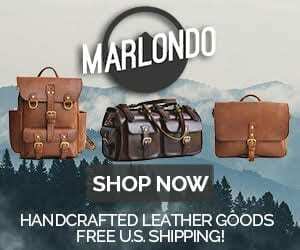 The Mountain Pass uppers are made with Horween’s Rio Latigo leather, a full-grain, combination-tanned leather that is finished with pigment-free aniline dye that allows the natural texture of the leather to come through. You can see with these boots that they have a very natural color with a waxy finish. This full-grain leather is very hardy and keeps a uniform color. The boot is lined with water-repellant Dri-Lex fabric and fastened onto an ever-trusty Vibram outsole. They have The shoe is constructed with a stitch down method, which means that the leather of the upper is turned outwards and stitched and cemented to the outsole. This allows the shoe to be lighter and more flexible, though not perfectly waterproof, but the boots’ lining and finish do a great job of keeping your feet dry and protected. When deciding on a pair of Danner boots, there are a few important things to consider. The Mountain Pass boots are a modernized version of the Mountain Light line that was debuted in the 1970s, and there are several important differences that potential buyers should be aware of. One factor that must be taken into consideration is the shank construction. The Mountain Pass has a bi-fit board construction instead of the fiberglass shank built into Danner’s older Mountain Light line. This means that these Mountain Pass boots (the subject of this review) cannot be resoled. However, the Mountain Pass boots are significantly lighter (about 25%!) and more flexible than the Mountain Light line. The Mountain Pass boots also have a padded collar for ankle comfort, while the Mountain Light Boots have a lower ankle with little padding. The Mountain Pass line are extremely strong and durable boots, but once they are worn through, you will have to buy a new pair. This is definitely something to consider and it absolutely comes down to your boot weight preference and how much you plan to use your boots each season. These boots are very reminiscent of classic 1970s hiking boots, with their lace-to-toe construction, metal eyelets, and solid leather uppers. Of course, these days it’s almost impossible to mention Danner boots without bringing up the 2014 film Wild, which depicted hiker Cheryl Strayed hiking the Pacific Crest Trail in 1995 in her trusty, red-laced Danner Mountain Lights. While these boots certainly experienced a resurgence in popualrity because of this movie, they have been a classic among backpackers for more than three decades. The Mountain Pass boots are absolutely constructed with hikers in mind, but this look has been co-opted by Portlanders, Seattleites and other outdoorsy Pacific Northwesters who now wear them on a daily basis. The wide, braided-lace toe has become a popular look, so these boots can perform double duty as hiking boots as well as casual footwear in unpredictable Northwest weather. The Danner Mountain Pass boots are a lightweight, modern update on the classic hiking boot. Made in the USA with gorgeous Horween leather, these boots will be the perfect companion and reasonably priced. 4 Comments on "Danner Mountain Pass Boots – $350"